This was a fun Hand Painted Kitchen Project, near Bromsgrove in Worcestershire; my client asked me to update their farmhouse style, rustic, dark oak kitchen… although a good size the whole area felt quite claustrophobic. 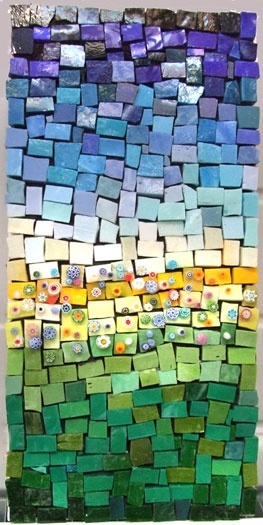 The remedy was to Hand Paint it in light shade to give a feeling of light and space. The colour chosen was Little Greene Paint Company’s “Pearl” – I used my usual system; 2 – 3 coats of Pegaprim Isofix followed by 2 coats of Tikkurila Feelings Furniture Paint. 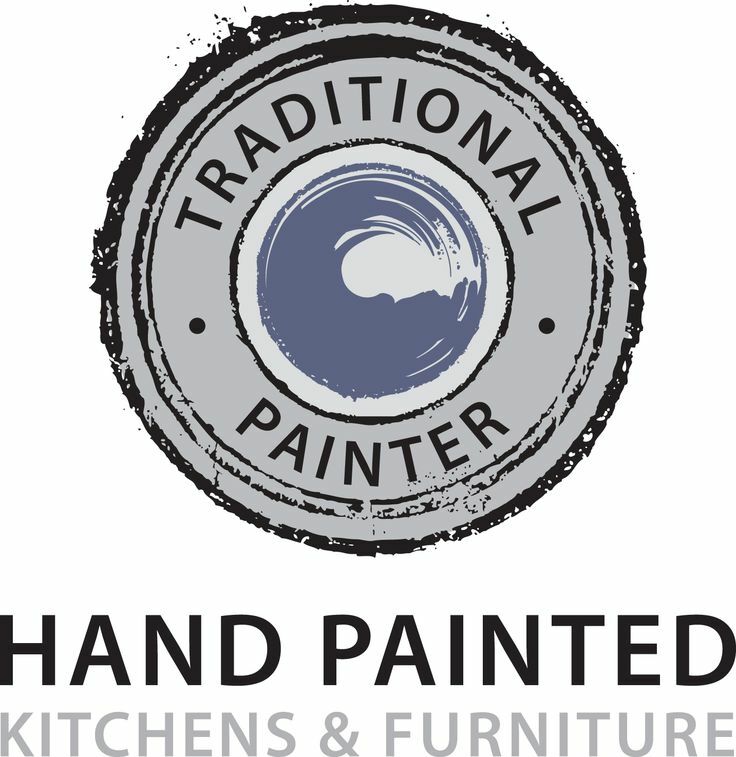 For a full breakdown of how I go about Hand Painting an Oak kitchen, please click here. As you can see, the kitchen (19 doors) now looks completely transformed. The Tikkurila Feelings Furniture Paint gives a lovely low sheen; a wonderfully durable finish, the most abrasive and chip resistant paint that I have found. 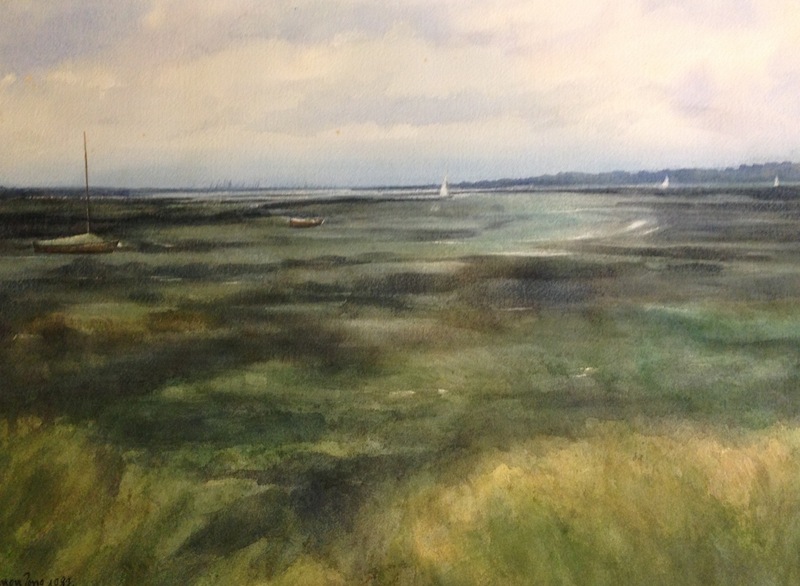 it was my privilege to work for these clients, I even found that one of their parents was Vernon Tong – a Fine Artist… well known for his studies of Suffolk landscapes, notably the River Orwell. My client’s home was a gallery of beautiful works of art created by Vernon; watercolour landscapes, seascapes and “abstract” oils; such a treat for me to be able to spend time looking at great artwork. To top it all, on the final day of the project, I was presented with an original Vernon Tong watercolour in recognition of a job well-done… I simply could not believe what a generous gesture this was. In the past I have been presented with bottles of wine, cakes and even a beautiful ploughman’s lunch for my efforts, but this painting really means so much to me – thank you Noni, from the bottom of my heart! 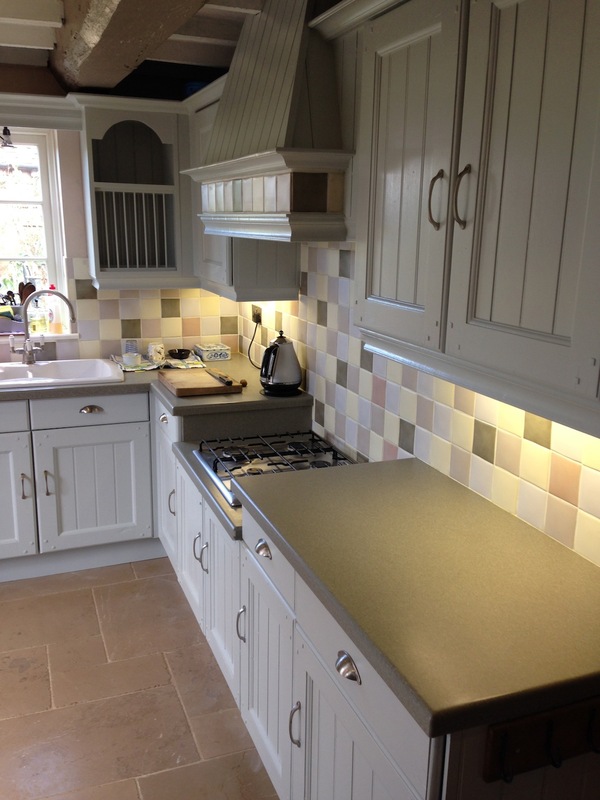 “We are SO pleased with the transformation of our kitchen by Martin. 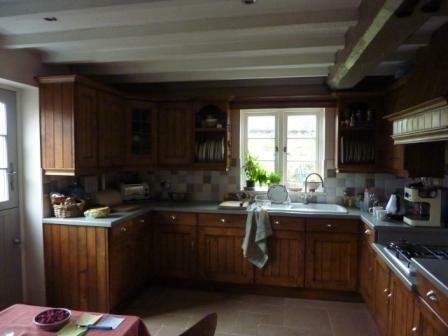 We had a very good quality solid oak kitchen cabinets that had been installed in the mid 1990s by the previous owners, complete with vintage ageing and darkening. 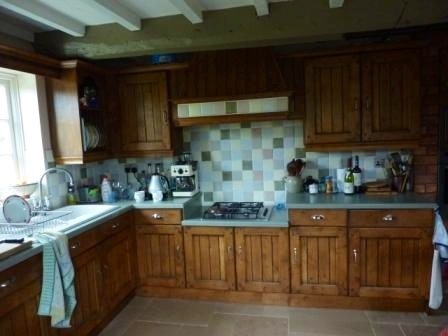 I’d long wanted to brighten up the kitchen, which being in an old cottage, was very dark, but the units were too good to replace, and everyone talked me out of doing anything. Then I found Martin on the Traditional Painter website… He did a fantastic job! He lived up to his promises and was a true perfectionist. We were initially a little dubious about the “dust-free” sanding claim, but he was right: no dust or mess! It could not have been an easier transition to obtain a “new” kitchen. Not only was he punctual, with meticulous attention to detail and a Craftman’s pride in his tools and work, but it was a pleasure to interact with him over the 10 days that the job took. Martin has done a tremendous job and has transformed our previously old, dark and tired kitchen into a fresh, elegant space that looks so much brighter and larger. 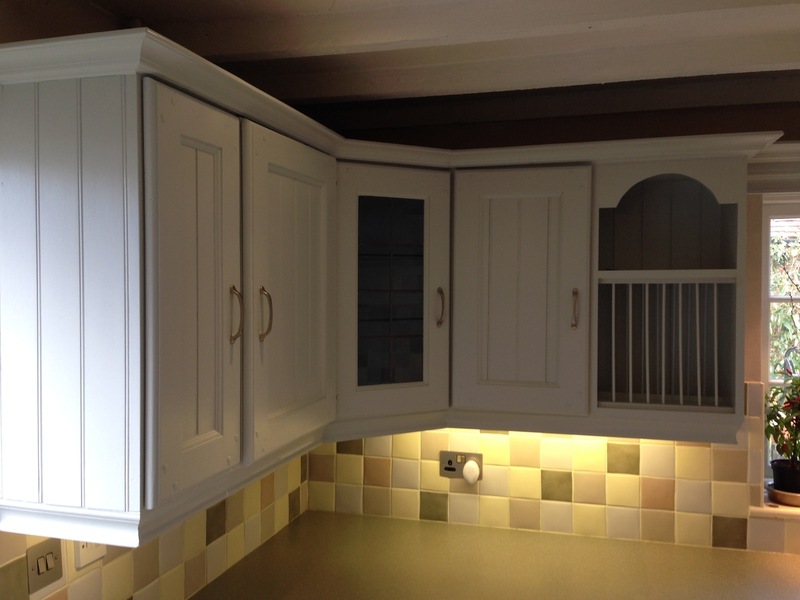 This entry was posted in Uncategorized and tagged Dust-Free, Furniture Painter, Isofix, Kitchen Cupboards, Kitchen Painter, Kitchen refurb, Kitchen Refurbishment, Little Greene Paint Company, Master Decorator, Master Painter & Decorator, Solid Oak Kitchen, Tikkurila, Traditional Painter, Vernon Tong, West Midlands, Worcestershire on February 10, 2014 by mjguestltdblog. It was a wonderful gift – so very kind… thanks for your comment Carol.